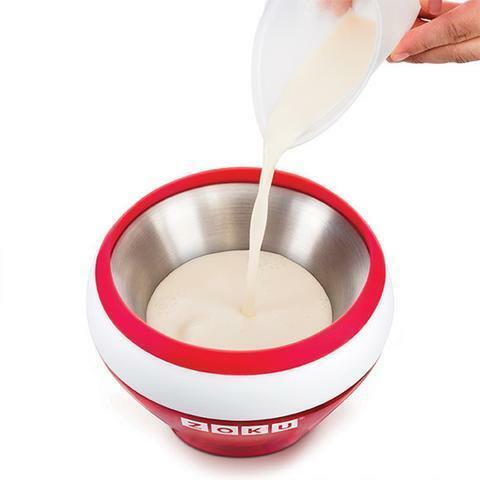 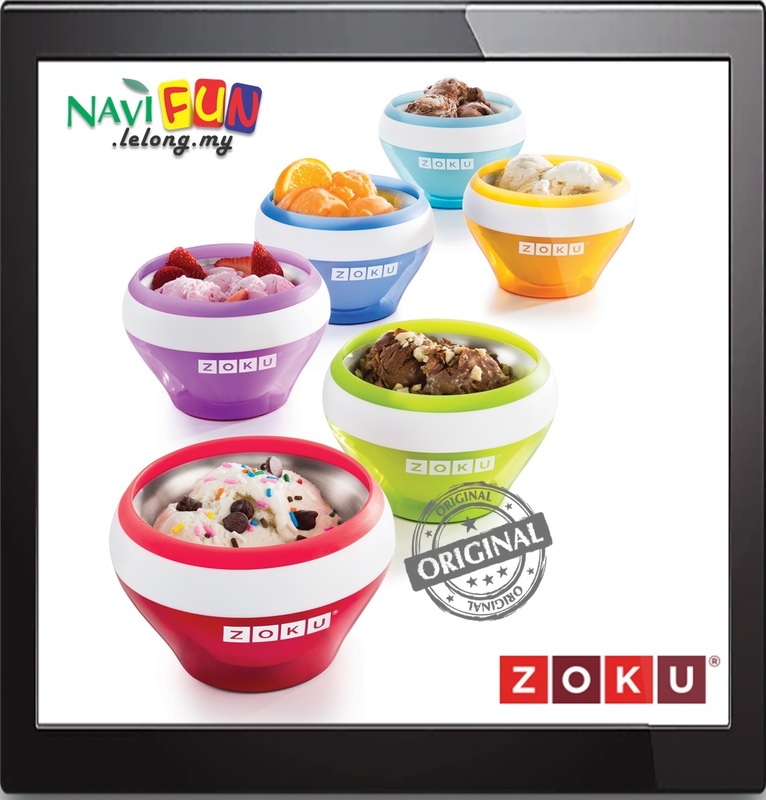 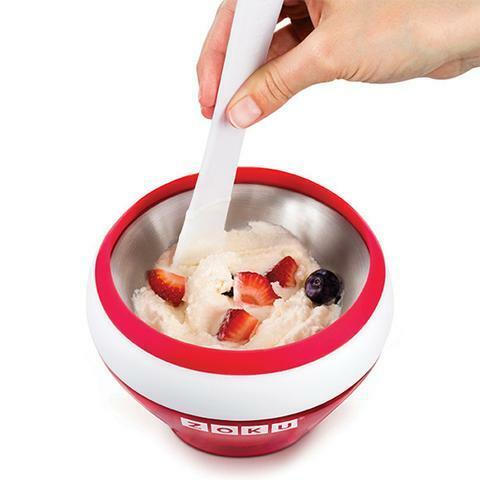 Make individual portions of ice cream, custard, frozen yogurt, gelato, sorbet, or sherbet in as little as 10 minutes with the Zoku Ice Cream Maker! 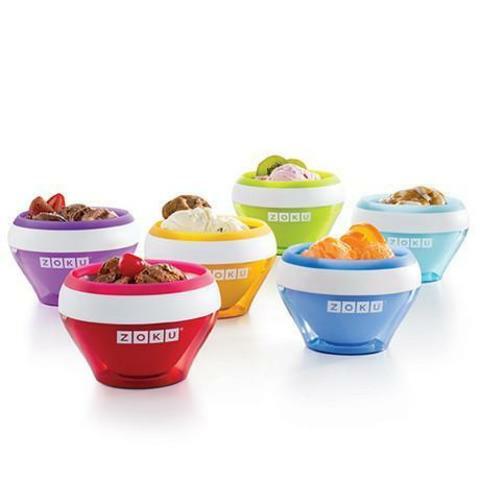 Whether you prefer classic flavors like vanilla bean, mint chocolate chip, fresh strawberry, or dark fudge, or you like to create your own flavors, fresh ice cream can now be a spur-of-the-moment decision. Top your creation with fruit, candy pieces, nuts, or brownie chunks, and for a classic flourish, add a bright red cherry on top.